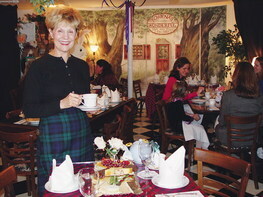 Rowena's Tea Room & Shop. Aside from its historic heritage as a historical and current naval port, Norfolk is full of free or cheap family vacation spots, including the Chrysler Museum, Nauticus, the USS Wisconsin, and the Hampton Roads Naval Museum. It's also home of a number of wonderful and unique restaurants, like Baker's Crust and Rowena's Tea Room, one of our favorite places for a girl's day out. It also boasts scads of delightfully inexpensive eateries, and many annual festivals, including the pirate-filled Harborfest, which takes place each June and features spectacular tall ships on an immense parade of sail. It also features a variety of antique shops and boutiques for those who love shopping. So here are some of my favorite places to eat and dine in the city, things which won't break the bank and which will appeal to a variety of different ages. Mix and match the attractions and eateries to make a great itinerary for the family day out. Great art fun for free? What could be better for your cheap family vacation? And they now have free admission every day they're open! What's the dish on our #1 Girls' Day Out spot, Rowena's Tea Room? It's one of our favorite places ofr a luscious ladies tea! 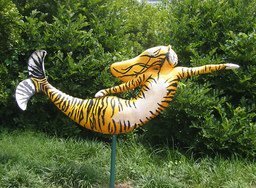 Go on a mermaid scavenger hunt around town...it's free! See scads of ship models, underwater artifacts, and exhibits on important naval battles and ships, including the USS Monitor, plus climb all over USS Wisconsin, a huge battleship. What has touch tanks, sharks, computer simulation games, tornadoes, subs, and a battleship? What profession gets you in for free? It's all at Nauticus! Go on a mermaid scavenger hunt. It's free! It only comes once a year, but Harborfest is a spectacular parade of tall ships, pirates and more. Want the best cheap burger and fries in a funky 50's era drive-in? 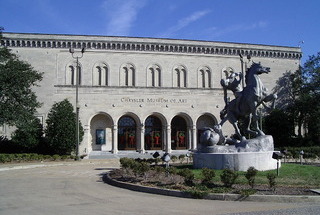 The Chrysler Museum of Art has free glass-blowing demonstrations. If you like to see real artists practicing their art, go to d'ART Center. They have free admission, and are open Tues-Sat, 10-5 pm, and Sundays, 1-5 pm.